Welcome Shadow enthusiasts, owners and riders. These pages have been put here exactly for people like you... Who appreciate them to their fullest. I could go into a brief history of these pages... but its enough just to say: I searched the net, but could not find pages dedicated to our favorite motorcycle (this was way back)... So I sat down and made (with your help), the pages I would have wanted to find. Now you know why they are here. They are here for you, supported by people interested enough in their prized possession to share it with you, me and the rest. We all know the feeling of sneaking out to take another look at our machines, just to remind us we really DO own that beautiful bike... I better stop... I'm getting the urge to sneak out to take a peek again! Even though I say so myself, I am very pleased with how the pages have turned out. The participation of everyone has been very appreciated by everyone else (ok, almost everyone! ), and I'd like to ask for your continued s u p p o r t. If you sent a picture in and it has not been featured, please resend it (but keep it in JPG format and under 100K) as lots of things have changed and lots of things have happened (eMail lost, Zip Disk crashed, etc. ), also please be patient, as this is not a "pro" page. All work on these pages is volunteer work. The Shadow Owner's Club has also been growing nicely, and soon we will have half the world covered! I'm not exaggerating, nor am I kidding! Check it out on the SHOC Page! Get in touch with me: TheStone@vortex.is - Perhaps you'd like a look at my Home Page? 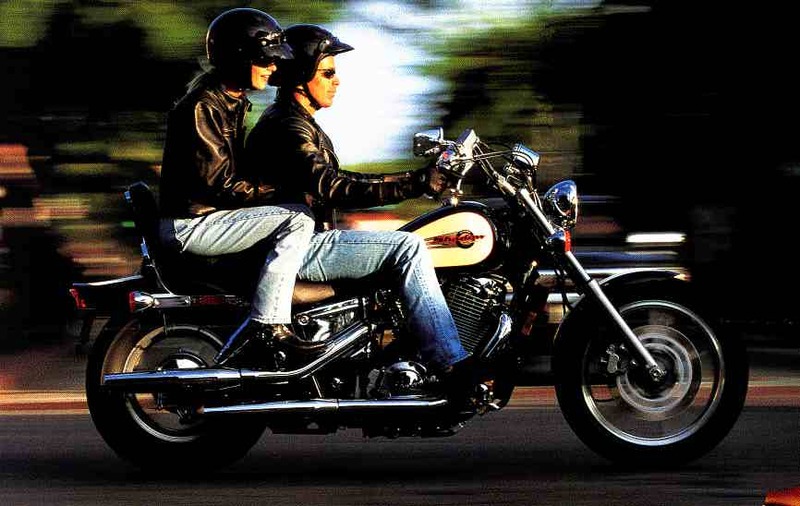 This Motorcycle Web Ring site is owned by HONDA SHADOW HOMEPAGE. Click here for info on how to join Motorcycle Web Ring. Is the Motorcycle Ring Server playing up again?